How to Spiral Cut a small animal hide (or any durable fabric) into several feet of usable cordage. Primitive cultures throughout the world were masters at utilizing every part of an animal that was harvested for meat. From the hide and bones to the bladder and intestines, nearly everything was used for something. Survival depended on it! Take a look at this photo of a Mohave man wearing a robe made from countless rabbit hides. * Woven rabbit robes were very common amongst native cultures, especially in the American Southwest. These robes were woven from many different rabbit hides that had been “spiral cut” into long strands. This is just one amazing example of masterfully utilizing small hides and furs that many people might consider tossing aside due to size. These rabbit blankets would prove to be just as warm as any large game animal hide in the country. In the spirit of this example, your Skills Challenge this month is to “spiral cut” the enclosed rabbit fur into a long strand. Once cut, this strand can be used for lacing, cordage, a drawstring, or even the beginning of your own woven rabbit fur blanket. This is a unique skill that opens up a world of possibilities when it comes to utilizes small hides in a potential survival scenario. To teach this skill, I have filmed a short video tutorial for subscribers only that can be found below. *Curtis, Edward S, photographer. 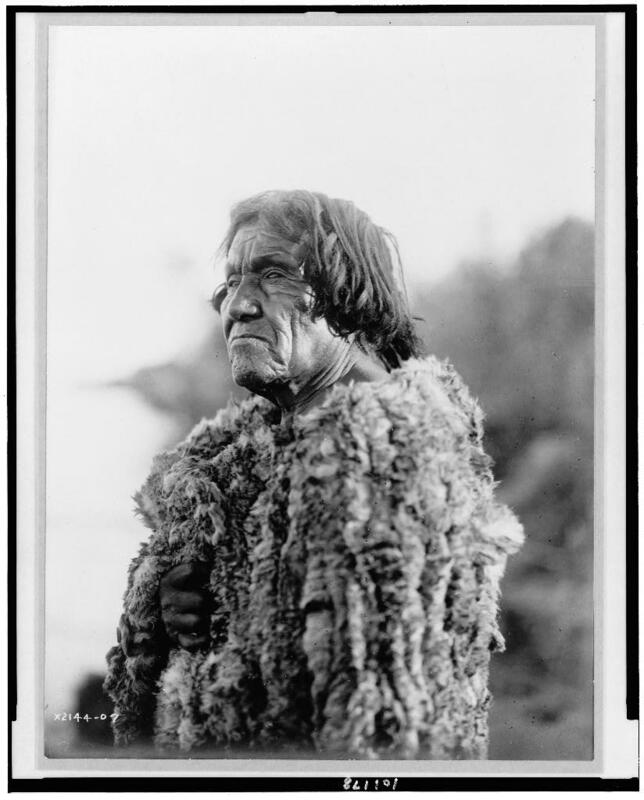 Mohave Man, Half-Length Portrait, Facing Left Wearing "primitive" Robe of Rabbit Skin. Arizona, 1907. Photograph. https://www.loc.gov/item/90710179/.